The cold, gloomy days of winter are the perfect time to clean and perform maintenance on your fishing reels so they are in top condition for the start of a new season. 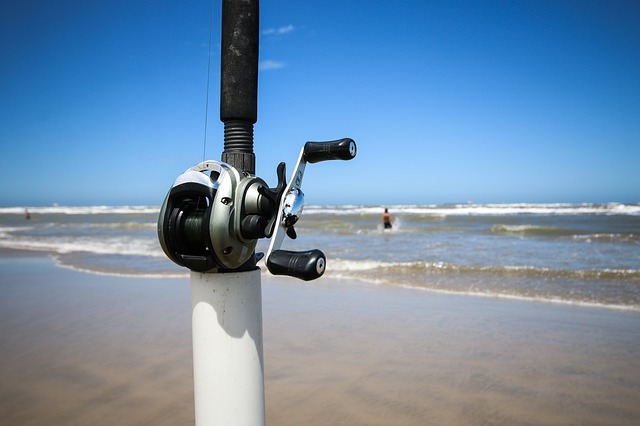 Fishing reels are complex and the thought of taking them apart can be daunting, but if you follow these four tips for cleaning and maintaining your reel, the job will seem much easier. Before you start the process of taking apart your reel, it is important to gather all the tools you need to perform the task. In most cases you will need a small standard and/or Phillips screwdriver, a small wrench, a clean rag, cotton swabs, a tweezers and a toothbrush, along with reel grease and oil. You also will need warm water and a cleaning solution that can remove grease. Before you take your reel apart, thoroughly wipe down the exterior with warm water and a rag to remove any grime and dirt. Next remove the old line from your reel. Once the exterior is clean and the line is removed, it is time to disassemble your reel. One of the keys in taking your reel apart is to do it methodically. Remove each part carefully and lay it out in the order in which you removed it. This will make reassembling your reel much easier. Use screwdrivers when necessary and the tweezers for very small parts. Once your reel is disassembled, the next step is to clean the parts. Use your cleaning solution (do not use a solvent, such as gasoline) to remove the grease from gears and other parts. Scrub each part with the toothbrush. Cotton swabs, also can work well in removing the grease. One of the most important aspects of reel maintenance is lubrication of moving parts. Proper lubrication will help your reel last for many years. Some anglers are unsure where to use grease and where to use oil. Grease should be used on gears, while oil should be applied to bearings. Before reassembling your reel apply a small amount of grease to the base of each gear’s teeth. Next apply oil to any bearings in your reel. Be careful to use lite amounts of lubrication. Too much and it will make a mess inside your reel. The final step in the process is to reassemble your reel. Put each part back in the reverse order in which you took it out. Make sure all screws and connections are secure. Once the reel is completely back together, test it to make sure everything is working properly and smoothly. If you notice any unusual noises or if something does not work properly, take the reel apart again and double check that everything is assembled correctly and then test your reel again. Once the reel is reassembled and working properly, wipe down the exterior to remove any grease or oil that may remain. The last step is to re-spool the reel with new line. Now you are ready for a new fishing season.